This article is a call to arms for a crack-down on misconduct in the financial services industry in New Zealand. This is a quote from Charlie Munger, Warren Buffet’s business partner at Berkshire Hathaway. It’s a profound insight, and something I repeat often – especially in the context of financial services. If you have an industry with a commission-based remuneration model, you can predict what type of “advice” you’ll start to see. If you have business models where fees are calculated as a percentage of clients’ investment portfolios, you’ll see those businesses orient themselves towards financial assets rather than, say, debt repayment or property. You’ll also see wealthy people being serviced to the exclusion of others who might benefit even more from good quality advice. When you look at incentives in an industry, things start to get a bit predictable. And to be fair, it’s not just financial services. Industries that charge based on hourly rates tend to lag in terms of genuine innovation. Why use a lawn mower when you’re encouraged to mow the lawn with scissors? Incentives relate to positive consequences. They are the carrot when it comes to behaviour. But there are also sticks. In my previous post, I quoted the interim report from Australia’s Royal Commission into Misconduct in the Banking, Superannuation and Financial Services Industry. One of the themes in this report is that the issue of misconduct in the financial services industry doesn’t relate to the law as it stands. A major issue with existing misconduct relates to how the law is enforced. If the law isn’t enforced, there aren’t any consequences for breaking the law. The law stops regulating behaviour. 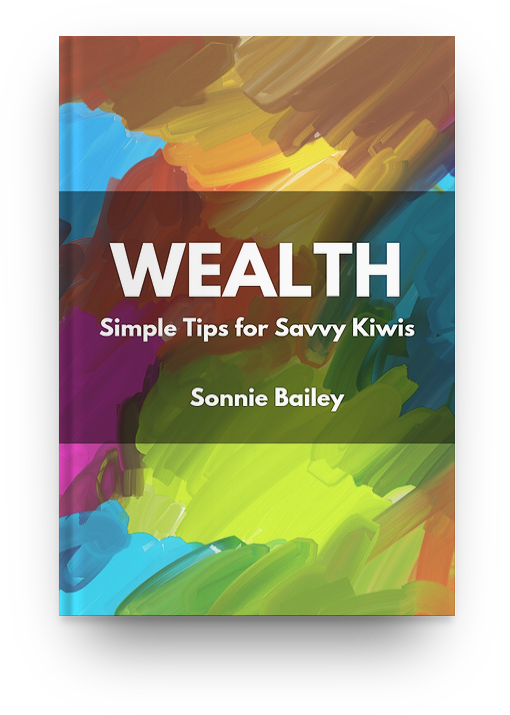 A number of online KiwiSaver calculators were recently tested, and one of the findings was that “there is nearly a million dollars difference between what they estimate a person would have at retirement”. Some of these KiwiSaver calculators didn’t factor in tax. Some made weird wage inflation assumptions. Some made outrageous assumptions about the returns that investors are likely to generate. I can tell you this: if I didn’t give this much thought, I’d be much more likely to go with the provider suggesting my balance would be $900,000 higher than the more circumspect – or should I say, honest – provider. And more importantly, if I believed my KiwiSaver balance was going to be $1.36 million when I turned 65, I’d be making VERY different life decisions compared to if I thought it would be $459,000. I’m not a lawyer (anymore), but my personal view is that making extraordinary assumptions like this is misleading and deceptive conduct, which is prohibited by section 9 of the Fair Trading Act 1986. The research in question was provided to the Financial Markets Authority (FMA), the New Zealand regulator of this sort of conduct. My intuition is that the FMA might tap some of these KiwiSaver providers on the shoulder and ask them to update their assumptions. If they do, it’ll be done quietly and with little fanfare. The negative consequences are likely to be minimal. Even though these providers probably benefited from being misleading and deceptive, in terms of getting new members on board. And even though these representations could be damaging to the people who make financial decisions based on these forecasts. Show me the consequences, and I’ll show you the outcomes. This sort of misconduct continues, and becomes the norm, and the cycle continues. We can have a good faith debate as to whether publishing online calculators with faulty assumptions is misleading and deceptive. At the very least, you can argue about where the line should be drawn. It just so happens that we have a forum for settling these debates. It’s a court of law. “the starting point must be that the consequences of contravention should be determined by a court”. We elect people to enact legislation. Legislation like the Fair Trading Act 1986, which sets out the rules we should live by and consequences for breaching them, was created by our elected representatives. Our regulator and its employees weren’t elected by us. Call me naive, but if a law is in place, it should be followed and enforced. This might cause problems for operators in the industry in the short-run. It might require additional regulator resources. But in the long-run, it will give people in the industry, and Kiwi consumers in general, more certainty. Conduct that isn’t allowed will be clearly stated in legally binding, publicly available judgments, and the consequences will be transparent. At the moment, enforcement is opaque and behind closed doors. The negative consequences of misconduct are minimal. If there are negative consequences at all. It’s one thing to have laws in place that protect Kiwi consumers. It’s another for these laws to be enforced. I care about outcomes for Kiwi consumers. I talk a lot about aligning incentives with consumers and service providers. But we also need consequences for bad conduct. This is why our financial services laws need to be enforced more aggressively. What an interesting article. It sounds pretty much like [f-word] to me, and if Joe Bloggs was to misrepresent something as much as that, they would probably be in trouble, but because they are big corporations, they seem to be able to get away with it. Good on you Sonnie, for calling them out on this.